Fleet Feet Sports is looking for high school, college-age students and others to volunteer their time to help out with Allied Running Club this summer! The Allied Drive Neighborhood is one of Madison’s most under-resourced and diverse communities. It is common for residents to have limited access to employment, health care, childcare and transportation. Allied has the highest concentration of needy families in the county, and ¼ of its 1,350 children live in poverty. This is a neighborhood with well documented challenges in regard to health, crime, drugs and safety. About the Program: Allied Running Club is a non-profit summer program run by Fleet Feet Sports Madison & Sun Prairie with the help of Madison School and Community Recreation (MSCR) staff. Allied Running Club aims to fight childhood obesity and promote a healthy, active lifestyle, by educating kids about their bodies and helping them to train for a 4x400m relay race (NEW THIS YEAR!) as well as for a one mile goal race on Thursday, August 13th. About the Practices: We will meet with kids twice per week at Malborough Park off of Apache Drive in Madison, WI. General practice will consist of warm-up drills, speed and agility exercises, workout, and cool-down. Some days may have a specific focus such as strength training, relays, yoga, endurance, power, or sprint-work. If you know of anyone else who would be interested in volunteering some time this summer to motivate and help coach kids, please continue to forward this message along. Preference is to have consistent volunteers, but we will take all the help we can get. Consistent volunteers will be able to have more leadership opportunities within the program. 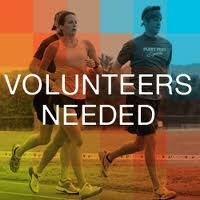 We will also accept volunteers who can only help out for the time trials day and/or race day in mid-August. Thank You!